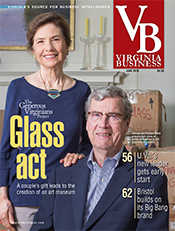 Sherrie Armstrong has a new job and a new last name, but she is a well-known figure in Virginia philanthropy. 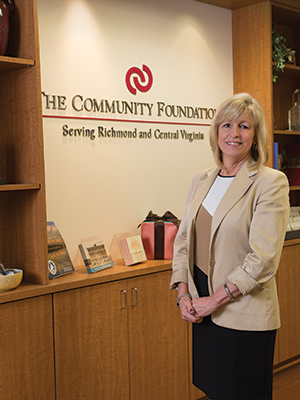 Nearly a year ago, she became president and CEO of The Community Foundation Serving Richmond and Central Virginia (TCF), the largest of 27 community foundations in Virginia. 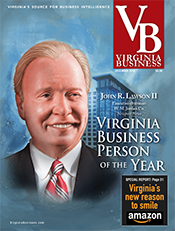 Before taking the community foundation job, Armstrong had served in many leadership positions for 26 years with the United Way, including 11 years as CEO of the United Way of Greater Richmond and Petersburg. Her last job was executive vice president of investor relations with United Way Worldwide in Washington, D.C. While working in Washington, she maintained a residence in Richmond. She was Sherrie Brach then. In April, she married Gary Armstrong, Richmond regional president for Charlotte, N.C.-based bank Park Sterling. The marriage added three stepdaughters to her family of one daughter, a son and a daughter-in-law. Armstrong sees the United Way and community foundations as complementary parts of philanthropy. The United Way, in part, serves as an on-ramp for philanthropy, providing opportunities for employees to participate in charitable giving that meets immediate social needs in the community. Community foundations, on the other hand, provide grants funded mostly from revenue from endowments rather than annual contributions. The foundations invest and administer permanent charitable funds set up by families, businesses, and organizations to help their communities. Their objectives tend to be long range rather than focused on immediate needs. The scope of community foundation grants often is broad, including the arts and cultural groups, for example, in addition to social services. In addition to serving Central Virginia, TCF has helped create regional community foundations for the Northern Neck and Middle Peninsula during the past 20 years. While they now are components of TCF, each fund has its own advisory board and eventually may become independent. TCF’s endowment is managed through an unusual arrangement with the University of Richmond. Since, 2008, Spider Management Co. LLC, the manager for the university’s endowment, also handles TCF’s investments. Armstrong says the arrangement is a good fit because the university and the community foundation are both investing for long term results. As of the end of last year, TCF had a 5-year rate of return of 7.38 percent on its investments. Around the country, some community foundations are moving beyond their grant-making role to take leadership positions in the transformation of their community. 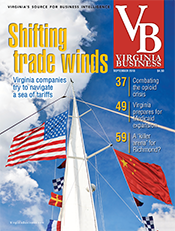 The Hampton Roads Community Foundation, for example, set up study groups to address economic development issues in a region that is vulnerable to swings in federal spending. Armstrong says TCF is pondering what role it can play as a facilitator of discussions in Central Virginia. 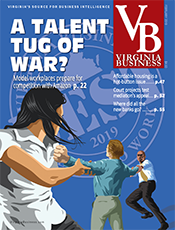 The big issue confronting community foundations and nonprofits alike, she says, is the emergence of millennials as the next generation of Millennials are generous, Armstrong notes, but many of them do not define their community as a geographic area. Away from the office, Armstrong stays active — attending concerts, playing golf and exercising. On the day after this interview, she participated in the annual Ukrop’s Monument Avenue 10k on a chilly Saturday in Richmond. 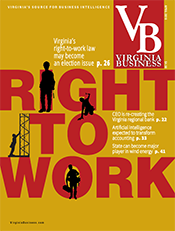 Virginia Business talked with Armstrong at her office in the Boulders Office Park in Chesterfield County on April 8. 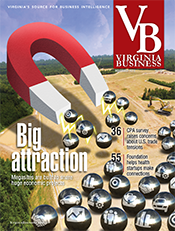 Virginia Business: What sort of trends are you seeing in philanthropy in Virginia? Armstrong: There is going to be, with the baby boomers, this big transfer of wealth. So, resources are going to be available to support community needs ... We have this opportunity to make sure organizations are well positioned to really take advantage of that. VB: You are talking about the transfer of wealth from baby boomers? It used to be to baby boomers. Armstrong: [Yes, there was a transfer of wealth to baby boomers], and now it’s going to be from them. There is this mindset, particularly in the older baby boomers and the traditionalists, that giving to the community is part of what you do … There’s a pool of dollars out there, and we’re starting to see that translate into planned gifts and bequests. For organizations that have set themselves up to benefit from that trend, it’s a huge opportunity. The other important thing is the way they define community. It’s not the traditional way that we would define community … Somebody who has an online community may have a relationship with somebody in Africa, and they’re willing to try to support them. They’re more cause-oriented, they’re supporting global causes, and they really want to be engaged that way. Engagement translates into giving, and that translates into community. I think we’re having to figure out what’s the best way to attract that type of person. 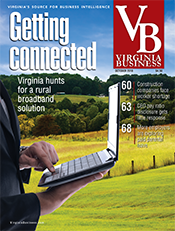 VB: So, being a geographically defined community, is that an issue? Armstrong: It’s going to be, I think … So we have to understand when we talk about community, there’s the geographic place [where millennials live], and they’re still going to care about where they’re raising their kids, but they also look far beyond their [local] community. They’re just much more knowledgeable globally. They’re traveling more at a younger age. I think the other thing we’re seeing with millennials is they want to be more part of the solution [instead of being passive donors] ... I think as an organization you have to have the willingness to let people come into your business and help you think about it differently and that just takes a different kind of management. VB: How much of your income comes from the management of your endowment and how much of it is from various sources? Armstrong: The majority of the money that we use to make grants to the community comes from the income, or the investment return, we get off of our endowment. We granted out $36 million last year, and that’s inclusive of money that we’re able to generate that’s unrestricted to us …We do get outright contributions, but that’s small, honestly, and typically when we get contributions, they’re in the form of setting up donor-advised funds or endowed donor-advised funds. We don’t necessarily go out and raise certain pools of dollars and then grant them out. VB: This foundation is the biggest in Virginia, and that would include bigger metropolitan areas. 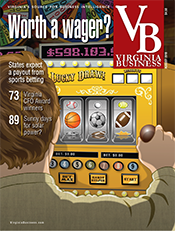 How did the one serving Central Virginia and Richmond become the biggest? Armstrong: I think one of the big reasons is that in this organization, particularly under [Darcy Oman’s] leadership over the last 30 years, there was an effort to focus on growth and to build our assets as much as we can. 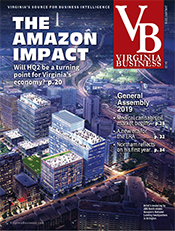 But I also think that it’s reflective, too, of Central Virginia and Richmond and the generosity we’ve always had here, the ability for people to give. We have a segment of our population here that has done well in their lives, but they’ve also been very generous in giving back. I think that, when the Community Foundation started to evolve, there was a real community effort to help it be successful. So that was a big part of it. The interesting thing about the model is it’s not just these funds we’ve been able to build with families and individuals, but we also have created a support structure for family foundations or other foundations that may not want to do all the back-office [work] of grant making. 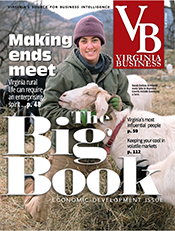 VB: In reading about community foundations, I’ve seen there is a push in some areas to go beyond grant making, pulling various segments of the community together for a certain purpose. Is that a thrust that the Community Foundation here is going to follow in any way? One of the big things we’ve done that’s been helpful to Richmond and the region is participate in the Capital Region Collaborative that’s trying to come together around priorities across the region and align different organizations. The Chamber of Commerce and the planning district commission are driving that, but we actually funded the project to get regional-level community indicators around different areas we all care about. VB: Tell me about some of the programs that you support. Armstrong: We have four big areas of focus. One is around educational success … We have another area around healthy communities. We’ve got an area around economic prosperity, and we also look at arts and culture. Those are the big areas that we will get involved with. For example, if you look at the education space, we support early education. We may fund several programs that are supporting preschool, kindergarten readiness, those types of things. We also sit on the board of Smart Beginnings, which is driving the systemic side of things. The other area that we’ve been incubating in the education space with other partners is middle school, middle-school success. 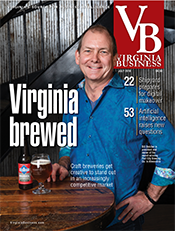 We’re working with several of our large companies — Dominion, Altria. It’s called NextUp, and we are working in partnership with Richmond Public Schools to create quality out-of-school time for middle schoolers. That’s been happening for the last couple of years, and it’s continuing to evolve. In the arts area, we have been trying to pull many of the arts organizations together to figure out how they measure outcomes. It’s more difficult in arts programs to really show outcomes that are tied to individual success, but there’s been a coalition of organizations that we’ve been working with to get agreed-upon metrics where we can demonstrate return on investment for charitable dollars. VB: Now I’ve noticed mention of the Partnership for Nonprofit Excellence? Armstrong: Now, that’s a big one. We also believe strongly in capacity building for our nonprofit network. Partnership for Nonprofit Excellence has been part of us for the last 10 years, and that is really focusing on providing training access to technical assistance for the nonprofit sector, helping them to manage their organizations better… Then under that, we’ve got HandsOn Greater Richmond. It works to really promote volunteer engagement, civic engagement. It’s kind of the bridge between people who want to volunteer and agencies. So we bring volunteers into organizations and many of our companies utilize HandsOn to actually create events or opportunities for their corporate employees to really engage in the community and volunteer in nonprofits.